The main reason for getting bonded as a cleaning-service owner is to give your clients peace of mind. They want to know that if something truly off-the-wall or awful were to happen, they will not be jeopardized. When they discover you are bonded, it takes a load off. Following are general notes about some of the types of bonding available. Note that not all of these typically apply to a residential cleaning service, or even to all commercial cleaning services. This is to protect your client from negligence with the work performed. They know you have to perform to the standards that you advertise, or you will be held accountable. This protects the client and helps them feel safe. It will increase interest in your business. For janitorial services with fewer than five employees, bonding should only cost between $150 - $200 per year for $10,000 in coverage. Use that as a measure of what your cost might be. It will increase slightly with each additional employee. Many people go a bit overboard with the coverage. Don't. You do not need a million dollars in coverage for a small-time residential cleaning service. On the other hand, if you plan to operate a commercial cleaning outfit, you will need a substantial level of coverage. You will need to do some deep research for the size of commercial jobs on which you are bidding. Janitorial service contracts can be rather large, therefore they can pose a huge liability for you and the client. Protect yourself and the client from theft or accident by carrying fidelity bonding. Fidelity bonding protects the cleaning-service owner-operator from theft or fraud carried out by an employee. This type of cleaning business bonding provides financial insurance that the bid has been submitted in good faith by the contractor. In addition, it provides assurance that the said contractor will enter into an agreement providing the appropriate services, as stated. These are usually required by municipalities or government agencies. You can learn more about surety bonds at the small business administration website. Guarantees a performance to the standards of the terms of the contract agreed upon. It is ultimately designed to protect the owner from financial loss if the contractor fails to follow through and perform. A payment bond covers payment of subcontractors, laborers, and material suppliers associated with the project. This applies more to building contracts that mat have cleaning services involved somehow. This type of bond guarantees upkeep (maintenance) of the completed project for a certain period of time after you have completed the job. This is mainly to protect against shoddy services and materials that become apparent over a period of time through use. Not really applicable to a janitorial service per se, but it is good to be familiar with all types of binding, especially if you find your self doing construction clean up. Make certain you get the physical seal of bonding and store it in a safe place, such as inside a fireproof safe. You may need it one day, to prove to a client that you have been bonded. State Farm is a good resource for learning about fidelity bonding. You can bundle your insurance and bonding. Many insurance companies offer bonds too. 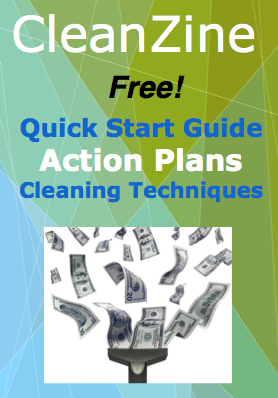 You may be able to get a bundle deal for your cleaning service business. A good source of information on getting bonded for your cleaning service is www.suretybonds.com.